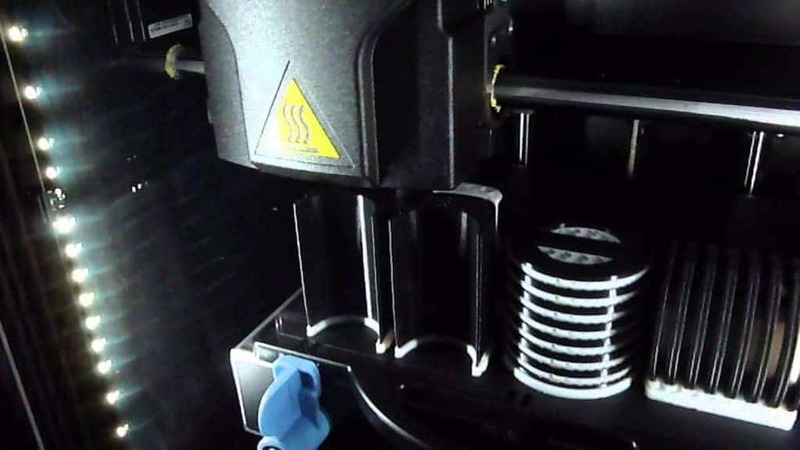 uPrint SE 3D Printer Review 2019 - Is This 3D Printer Worth The Money? A compact printer with all the precision and quality of printers three times its size? 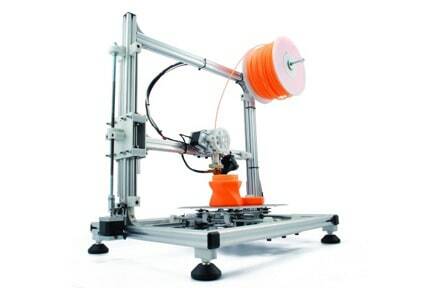 Here’s our take on the uPrint SE 3D printer. 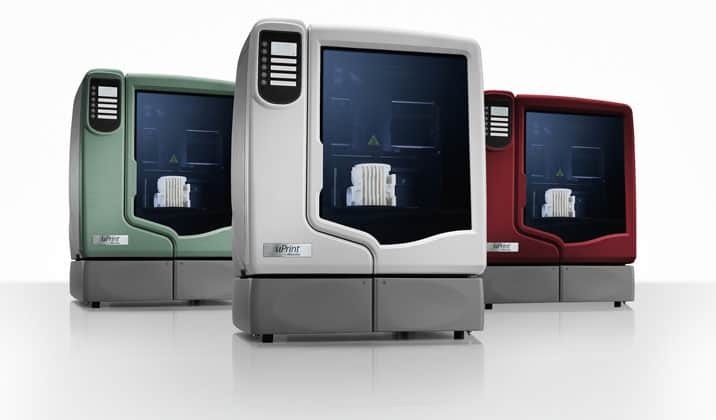 With the uPrint SE, Stratasys has taken all its industrial-scale printing know-how, then miniaturized it into a form factor fit for the desktop or home office. We have here a relatively diminutive device that is more akin to a coffee maker or large microwave than the fridge-sized units usually shipped from the company’s depots. The footprint measures in at only 635 mm x 660 mm x 787 mm weighing in at a comparatively light 76 kg. 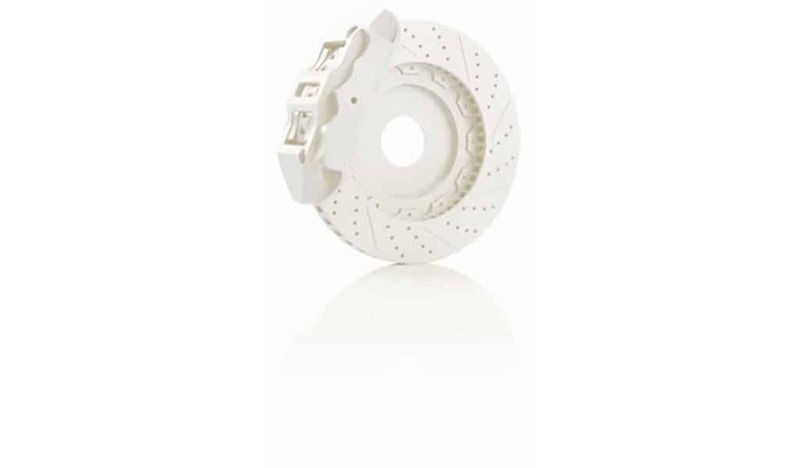 Aesthetically, it borrows heavily from the Stratasys tradition with a thick off-white and gray acrylic outer shell supported by a CNC-milled steel frame on the inside. Stratasys isn’t known for making particularly visually enticing products, and as such, the uPrint SE follows suit with a functional, unembellished look. The build chamber is fully enclosed (with an internal light activated during printing) and accessed via a hinged, heavyset door fitted with a see-through plexiglass window — the door locks during printing for added security. Two retractable materials bays sit below the chamber and are used to store both filament and support material. Stratasys also sells additional material bays to expand and effectively double the material capacity of the printer. These sit on top of the existing row when installed. 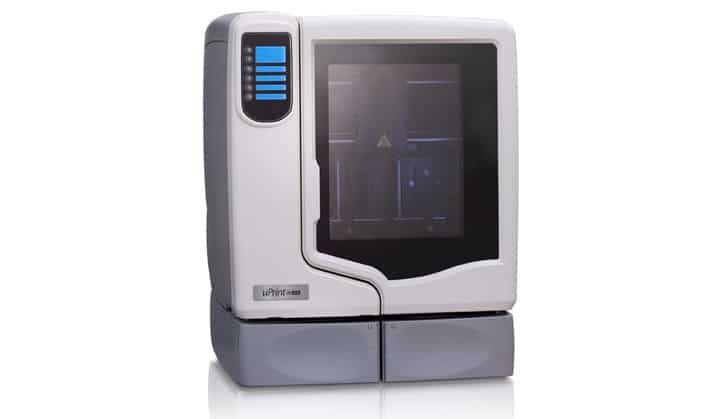 Internally, the uPrint SE is based on Stratasys’ long-standing FDM technology powered by belted servo stepper motors running on all three axes along lead screws and guide rods. 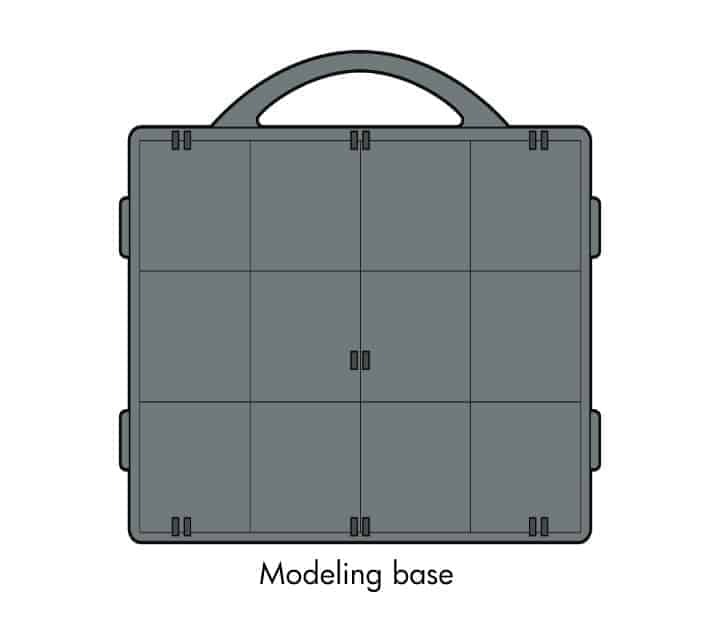 The build platform, or platen as Stratasys has coined it, support one-time use modeling bases or beds and provides a build volume of 203 mm x 152 mm x 152 mm for the standard uPrint SE or 203 mm x 203 mm x 152 mm for the larger, but internally identical uPrint SE Plus model. Every new print requires a new modeling base. If not replaced, the printer is prone to calibration errors, and extrusion issues reflected in sub-par quality finished prints. 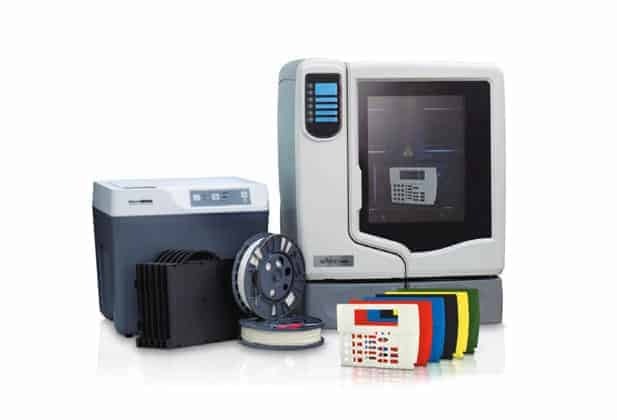 Costs invariably stack up, but given that the uPrint SE is designed as a compact solution for professional R&D and manufacturing setups, the expenses remain comparatively marginal. Two direct drive extruders sit inside the uPrint SE; one tasked with extruding filament, and the other exclusively used to deposit support materials. Layer thickness is locked in at 254 microns for a happy middle ground between precision prints and rougher sketch modeling. Minimum wall thickness is 914 microns. An extruder tip wiping assembly also sits alongside the extruders and is designed to remove filament build up on the tips/tip shields and deposit debris in a removable purge bucket. The uPrint SE is solely geared towards ABS thermoplastic and more specifically Stratasys’ proprietary ABSplus material. ABSplus is available in ivory, white, blue, fluorescent yellow, black, red, nectarine, olive green, and gray. ABSplus is marketed as being significantly stronger than classic ABS with a higher tensile strength, more heat resistance, and better impact toughness. The material ships in bespoke plastic cartridges that sit in the material bay below the uPrint SE. 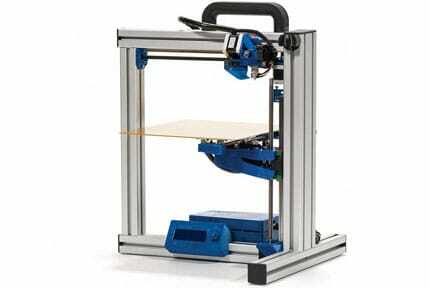 The same applies to the support material that is exclusively available from Stratasys. Third-party ABS is not supported. 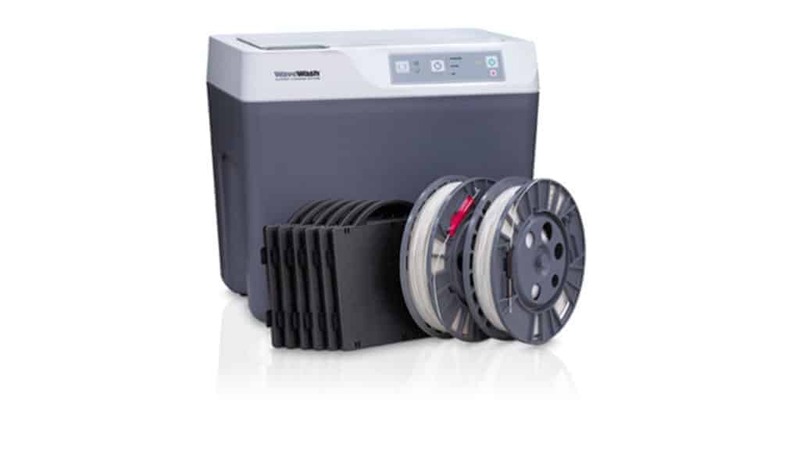 A standalone WaveWash Support Cleaning System is available alongside the uPrint SE. As the name suggests, it is used to remove support structures from finished models by bathing them in a solution made up of part water, part EcoWorks Cleaning Agent. The front top left of the printer features a backlit multi-line LCD, four single line displays, and a keypad to navigate a variety of menus that manage material loading/unloading, material levels, print triggering, printing status, setup, and maintenance options. 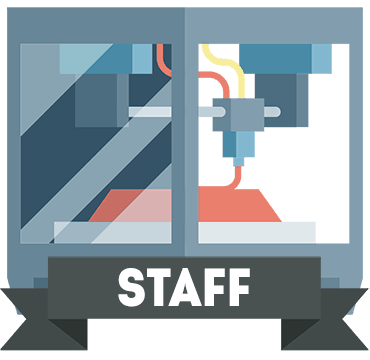 In what is a pretty standard move for a Stratasys product, connectivity is limited to Ethernet, which should suit most professional setups with multiple PCs being able to access the printer through a local network. The uPrint SE uses CatalystEX software to convert CAD files in STL former into a sliced model readable by the printer. The software is fairly basic but is both reliable and easy to use with an almost point and click simplicity bolstered by scale, resize, orientation, position, infill, support, and rotation options. CatalystEX is compatible with Windows only. The uPrint SE is a fully assembled device, and installation is limited to fitting a modeling base via a set of clips onto the platform and loading the ABSplus/support material into the cartridge bays. The bays do most of the heavy lifting by grabbing onto the filament end and feeding it to the extruder and as such no time is wasted toiling away forcing the filament through the tubing as is too often the case with 3D printers. The printer comes well packaged in an array of protective materials. The package includes the uPrint SE alongside an ethernet cable, crossover cable, a tip replacement kit (support tip, model tip, eight tip shields, and four tip wipe assemblies), WaveWash Support Cleaning System, ABSplus spool, CatalystEX installation CD, 1/8 inch T-Handle wrench, 7/64 inch T-Handle wrench, system software installation CD, user guide CD, support material spool, needle nose pliers, 10 magnifier loupes, cutters, wire brush, gloves, and power cord. The uPrint SE is capable of rendering all manner of elaborate, geometrically challenging models time and time again. We tested over 30 prints to see how far this model could go and we only encountered one single clogging issue, which the system picked up automatically and provided instructions on how to proceed. We didn’t even have to start the printing process from scratch as the uPrint SE simply paused the print and picked up where it left off. The results were smooth, intricate prints with next to no blemishes or issues. The support system works incredibly well allowing for some seriously complex overhangs, and the cleaning bin system did a great job of producing near-perfect post-production prints. The focus purely on ABS is limiting, but given how well the uPrint SE handles the material, we can forgive this specialization. The chamber environment is ideally suited for ABS, and we encountered no warping issues nor problems with sustaining adequate temperatures. 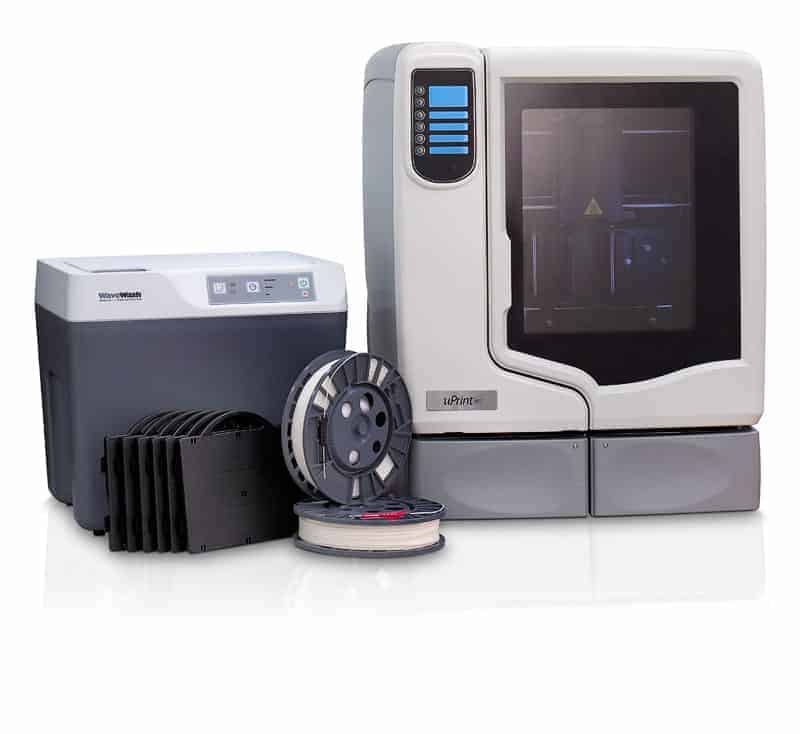 The uPrint SE has a one year warranty alongside Stratasys’ renowned customer service. Stratasys also offers a free comprehensive recycling scheme for both spent cartridges and excess ABS filament. With the uPrint SE, Stratasys have succeeded in morphing their large scale industrial grade printers into a much more manageable size. It’s compact, reliable, and just as performance oriented as other models from the company. The precision of the prints means it is ideally suited to proof of concept models, functional testing, prototyping, product mockups, and marketing tool production along with more classic design functions. The price tag does mean it is solely reserved for commercial use, but within that very space remains affordable. The ongoing cost of sourcing ABSplus and modeling bases direct from Stratasys needs to be taken into account though. The uPrint SE performs admirably as a small commercial printer fit for all manner of uses. The sole focus on ABS printing may not suit all users, and the ongoing costs may be prohibitive.